What they do all day? When a person has an illness, whether it's relatively mild like strep throat or serious like cancer, medical tests of organ, tissue, or cell samples are usually used to confirm it. Clinical laboratory specialists conduct those tests, as well as a variety of others, and analyze them. They can also evaluate the effect of drugs on certain diseases in order to come up with treatments. --J.A. 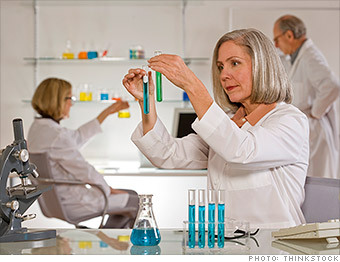 Do Clinical Laboratory Scientists have great jobs, or what?